Danny Wilson’s recent efforts against Falkirk, in which he blocked three shots & shaved off 50% of the Bairns’ Expected Goals totals, has inspired me to go back & see which teams are the best at blocking shots. Shot blocking is only one aspect of a team’s defensive play & its impact can be measured using advanced statistics. Analytics is still trying to find ways to quantify strong defensive play & this is only one, rather simplified attempt at it. Others, particularly DeepxG & Tom Worville, are doing more nuanced work than this & I highly recommend that you give their findings a read. The data below is sorted by % of shots blocked. As you can see Morton’s defence, anchored by Luca Gasparotto, leads the league in shots blocked & in the percentage of shots faced that are blocked. 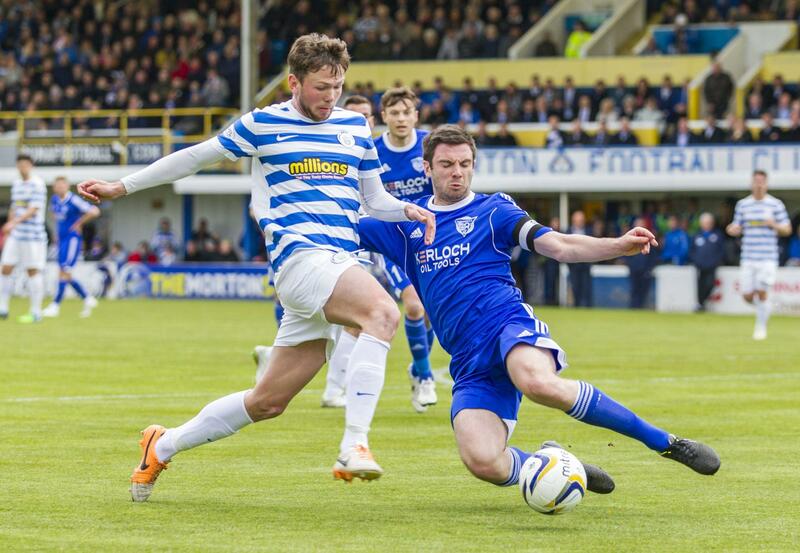 Only Alloa gives up more shots, but no other team can match the volume of blocks that Morton has. This may play a part in why only the league’s top three clubs (Rangers, Hibs, & Falkirk) have allowed fewer goals this season – quite a feat considering the high amount of shots they face. Teams like Rangers & Hibs don’t allow very many shots, but are blocking a good percentage of them. Meanwhile, Falkirk allows the same amount of shots as Queen of the South & Livingston but their defenders block significantly more shots. Livingston’s defence is not making life easy for their goalkeepers as 91% of the shots taken get past the first line of defence. Three of the four worst teams in the league table are represented at the bottom of the shot blocking standings as well. Interestingly Alloa, the league’s worst team, has the same shot blocking success as the league’s top three teams in the table. Given the volume of shots they face, you’d suspect that they are layering 9-10 men behind the ball as a tactical means of survival. The quality of shot blocks: How many scoring chances are blocked? Again, Morton’s defence is compensating for a large number of scoring chances allowed by closing down on the shooter quickly enough to block the incoming shot. Unfortunately, for them, only Alloa gives up as many scoring chances – putting their goalkeeper under an awful lot of pressure. That makes Derek Gaston’s league high save percentage of 0.803 even more impressive. Should we be concerned that Rangers block the fewest scoring chances? It’s hard to say given they also have the smallest sample size. They have given up 41 fewer scoring chances then Falkirk, who are considered one of the best defensive teams in the league. Raith Rovers are a team that sticks out as a defensive unit that is blocking a high rate of the scoring chances that they face. In fact, of all their shot blocks – 44% are of shots from the heart of the penalty area. Ultimately, this likely will be the most telling statistic. Expected Goals measure shot quality & place a value on a shot based on where it is taken & how it was taken (header v. kicked shot). Like we mentioned earlier, when Danny Wilson blocked those three shots against Falkirk – he cut their xG total for the game from 1.0 to 0.5. Another way of looking at it is, based on the shots Falkirk took & from where, they had a 100% chance of scoring a goal in that match & that was cut to 50% because of Wilson’s blocks. So how much credit for that shutout do you give to the timely play of the Rangers defender? Fenwick is a reference to the amount of shots allowed, minus blocked shots. For example, Rangers have allowed 141 shots this season & have blocked 19….so their Fenwick is 122. Now apply that to Expected Goals. While looking at all shots, Morton’s Expected Goals Allowed for the season totals 30.31. When you factor in blocks, you see that their Fenwick adjusted Expected Goals is 23.90 meaning they eliminated 6.41 Expected Goals from their total with blocked shots. That means they blocked 21% of the Expected Goals faced. Guess how many actual goals they have allowed this season? If you said 24, then we may have converted you over to the dark side of fancy stats. Enter your email address to receive weekly updates.